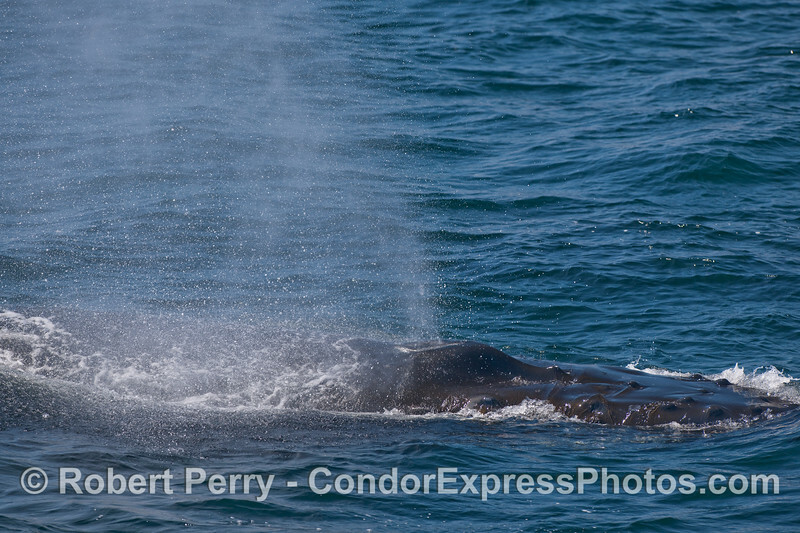 Frisky Humpback Whales (Megaptera novaeangliae) and some Blue Whales (Balaenoptera musculus) too. 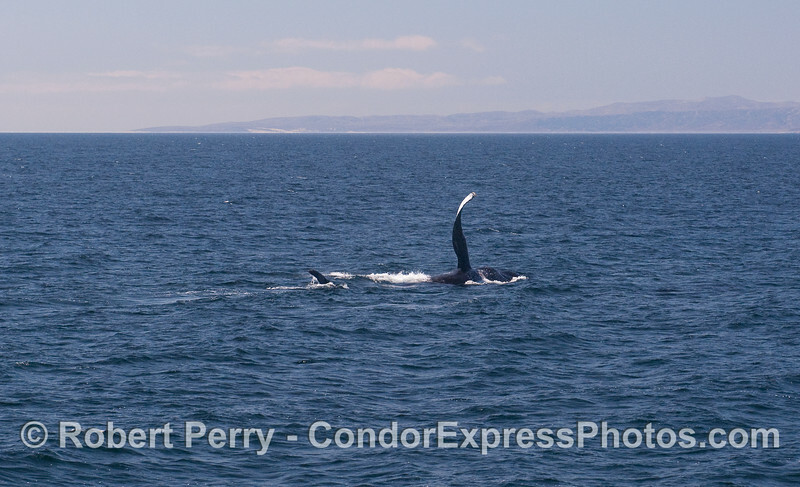 A very calm, sunny day near the west end of Santa Rosa Island. 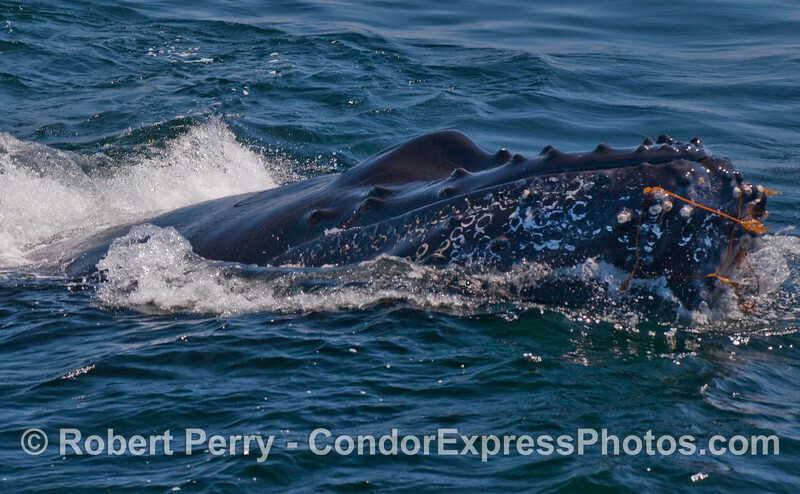 Humpbacks love to play with Giant Kelp (Macrocystis pyrifera) drifting free on the open ocean. 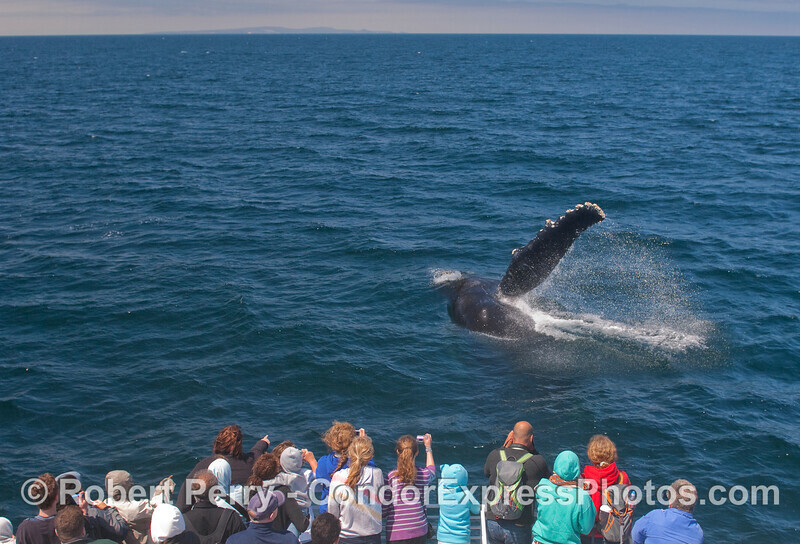 A friendly Humpback puts on a show. 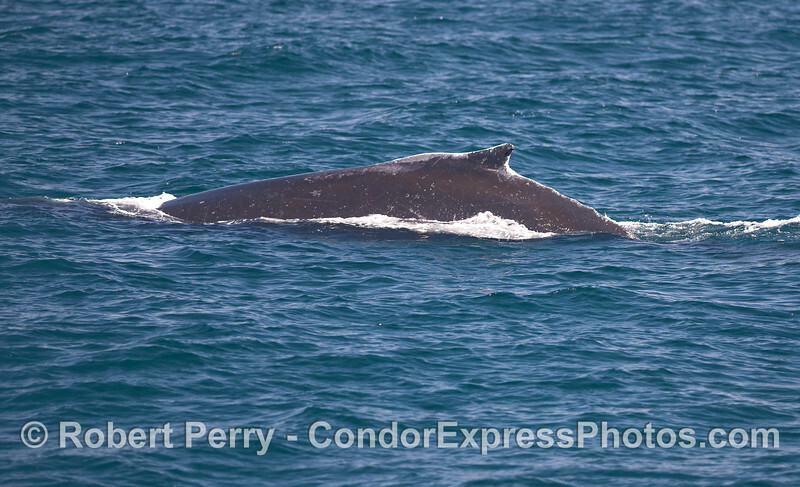 A Humpback, laying on its right side with its left eye and left pectoral fin visible. 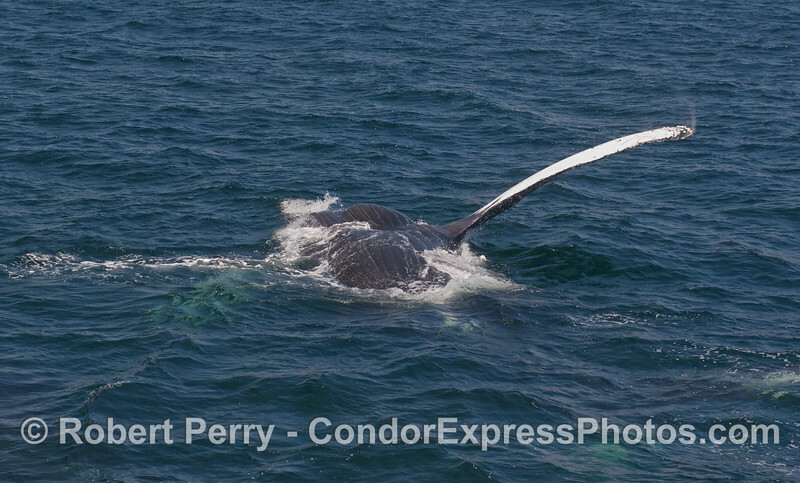 Long, arching pectoral fin of a Humpback. 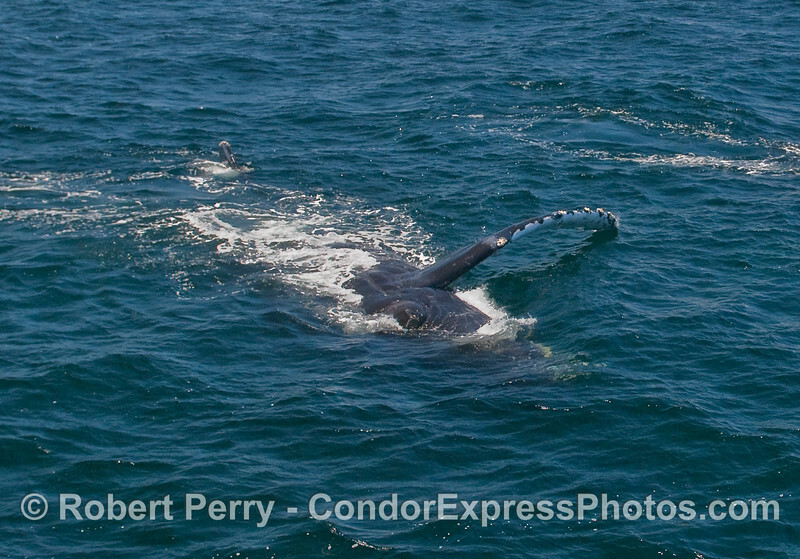 Santa Rosa Island provides a nice backdrop for this rolling Humpback. 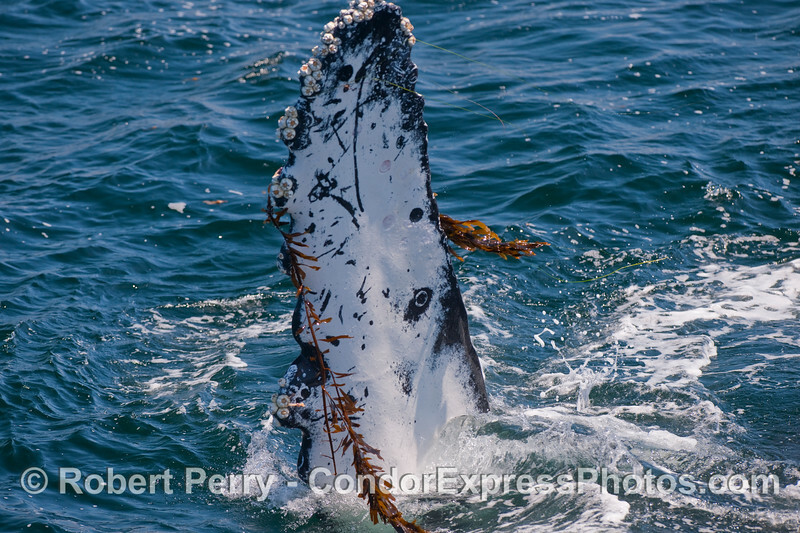 A pectoral fin of a Humpback with Giant Kelp attached. 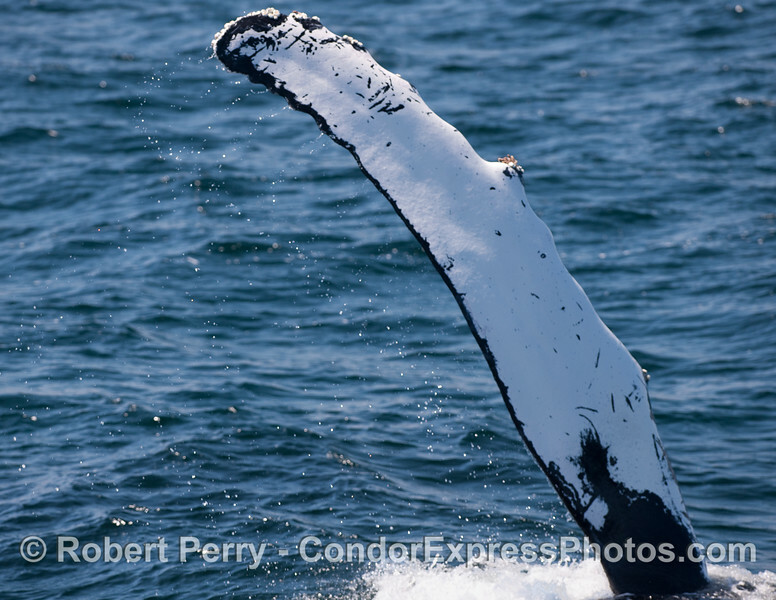 A completely upside down Humpback Whale, slaps its long pectoral fin on the water. 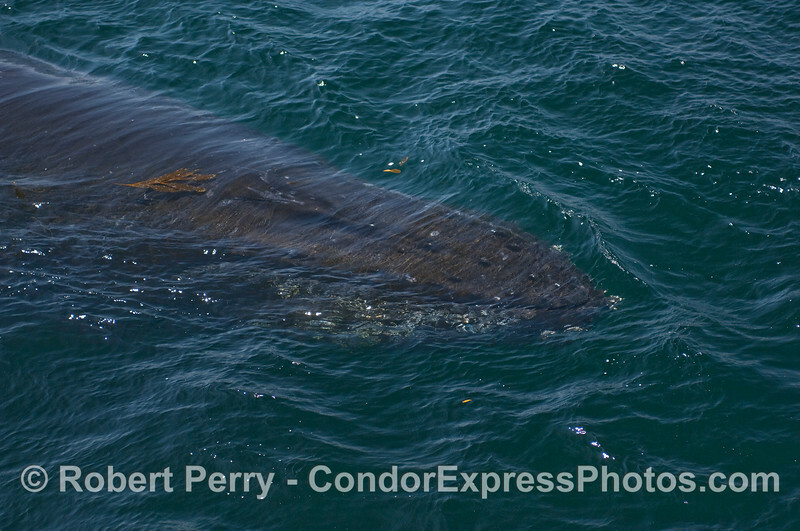 Dorsal fin and left flanks of a Humpback. 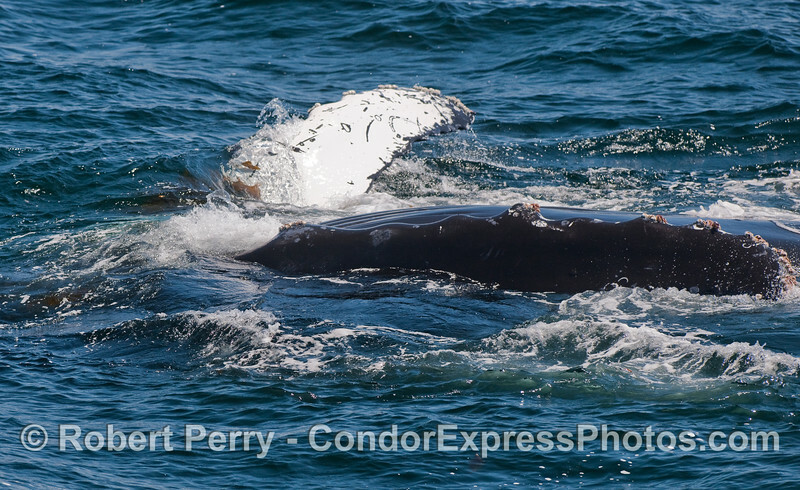 Another photo of an upside down Humpback...notice the ventral grooves that run from the mouth back to the navel. 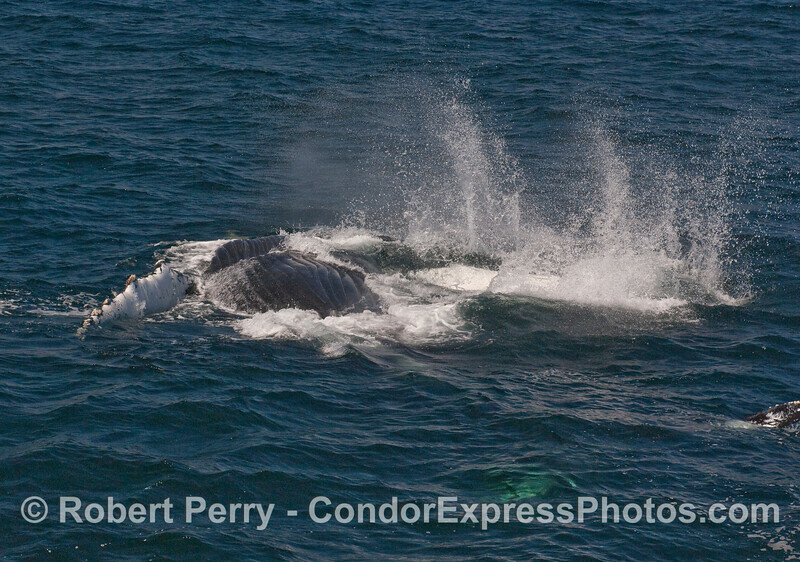 A spouting Humpback seen very close up. 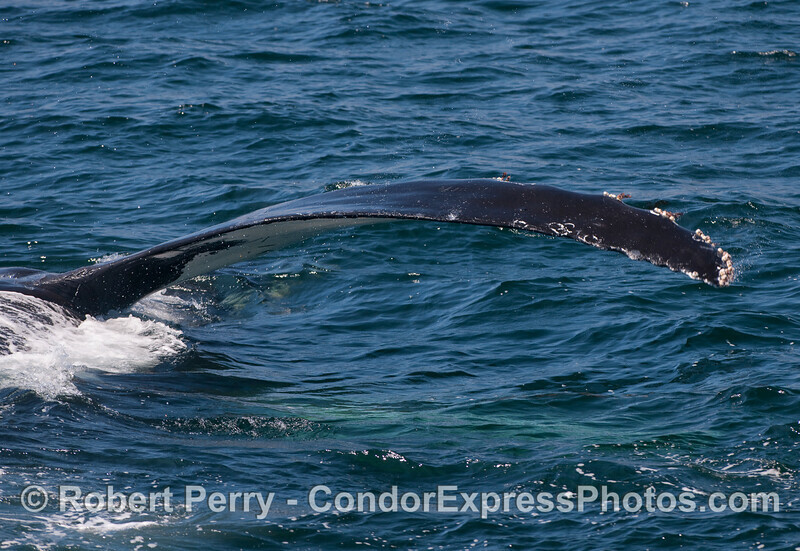 Tail flukes of a Humpback Whale...going down. 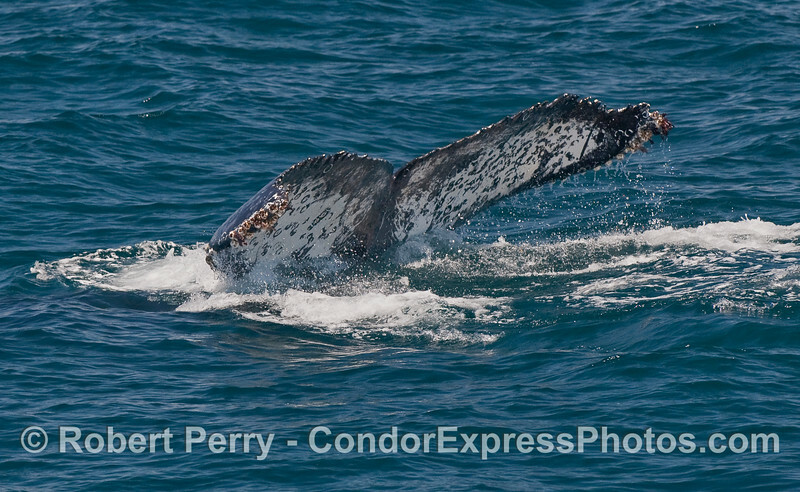 Yet another upside down Humpback. 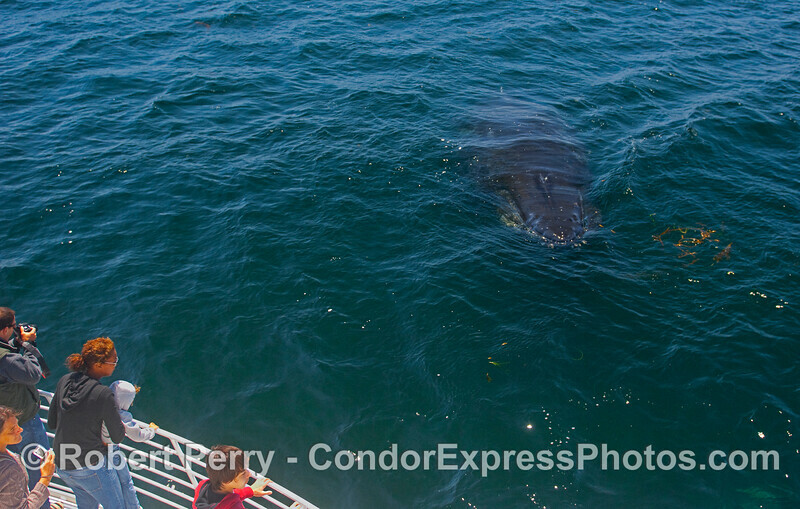 A big Humpback rises up from the depths. 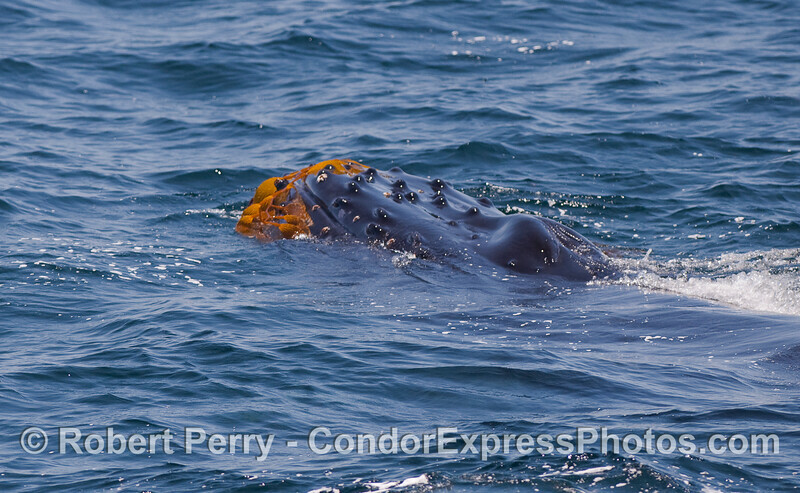 Giant Kelp attached to the head of a Humpback. 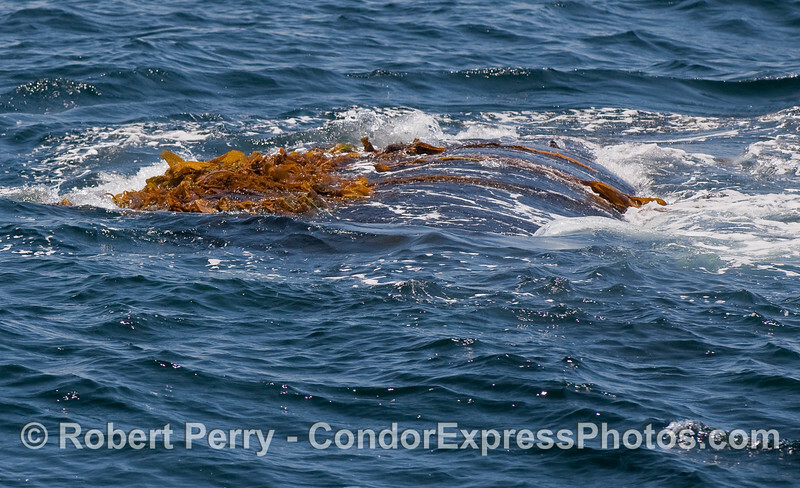 A Humpback Whale rolling around in the Giant Kelp. 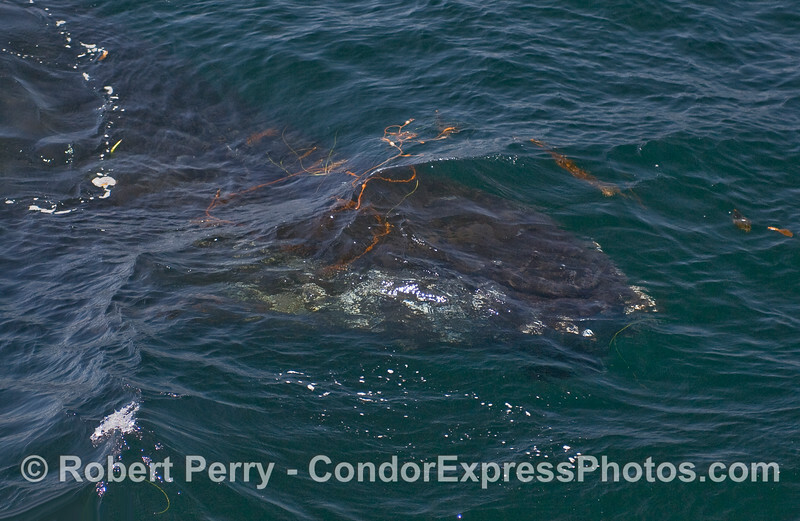 Giant Kelp is seen floating above a submerged Humpback Whale. 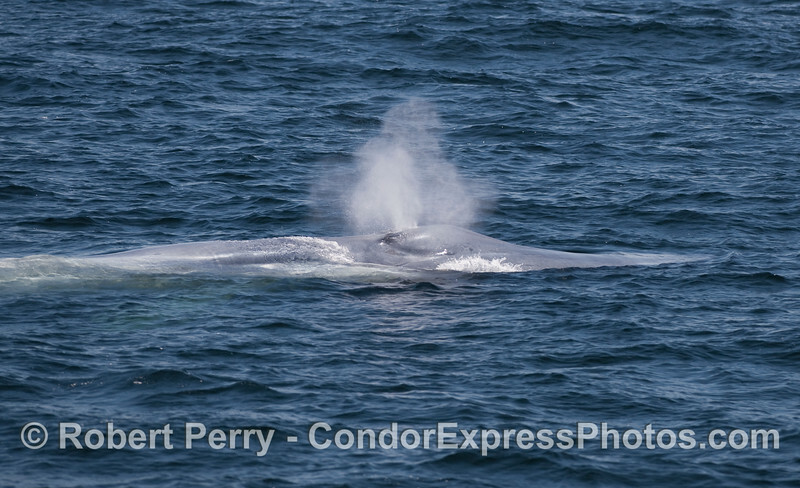 A giant Blue Whale begins its spout. 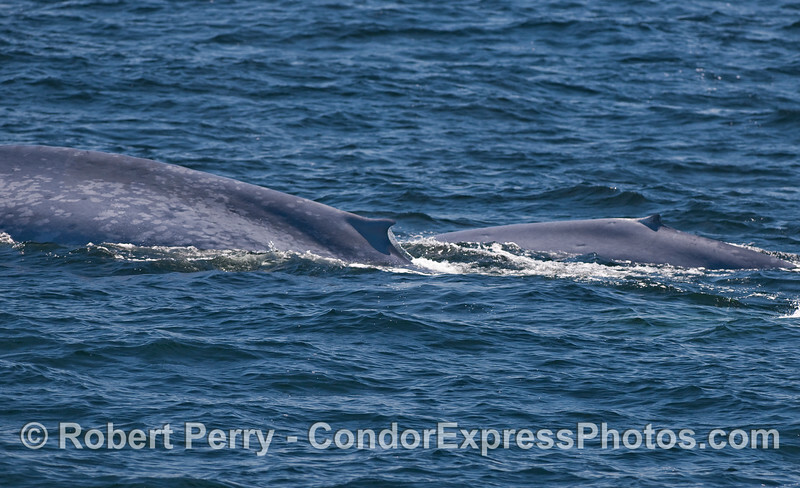 Mother and calf Blue Whales. 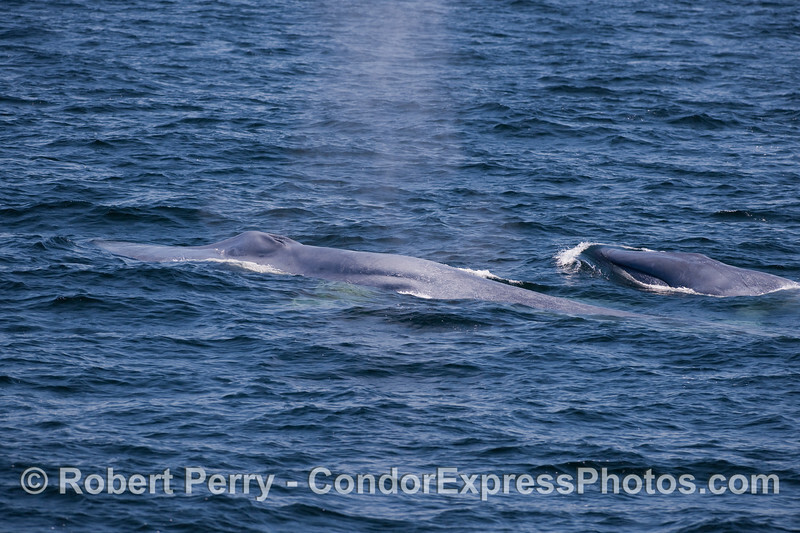 Two Blue Whales, a mother and her calf, migrating to the west. 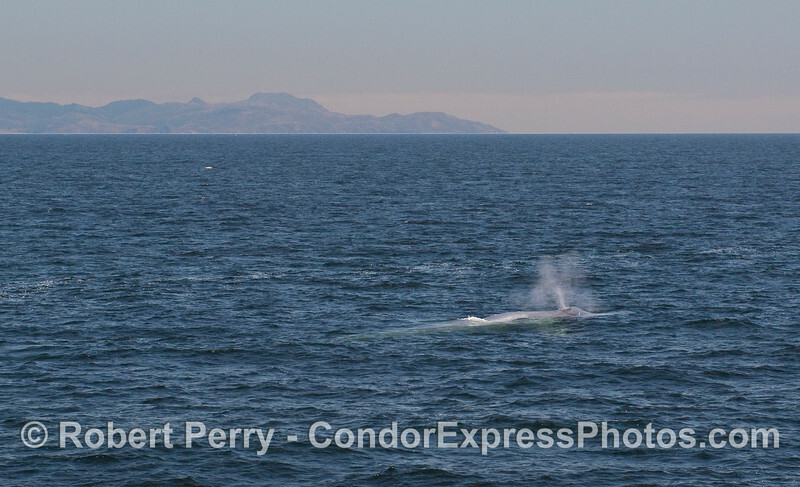 A spouting Blue Whale with the west end of Santa Rosa Island in the background. 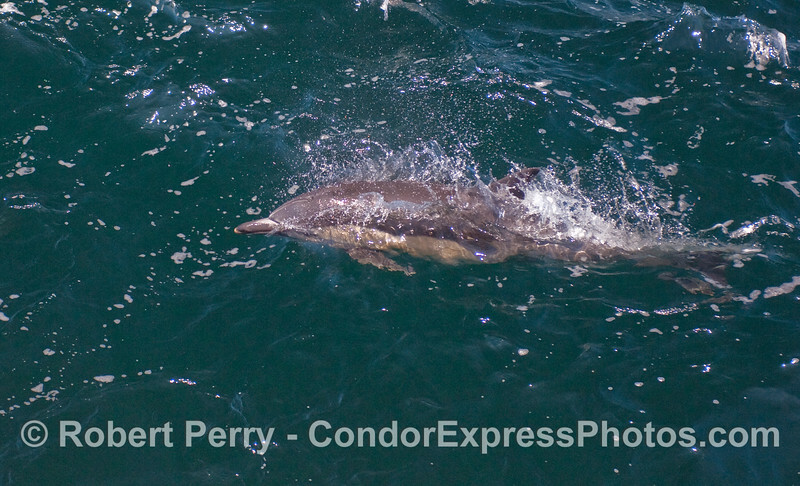 A leaping Common Dolphin (Delphinus capensis). 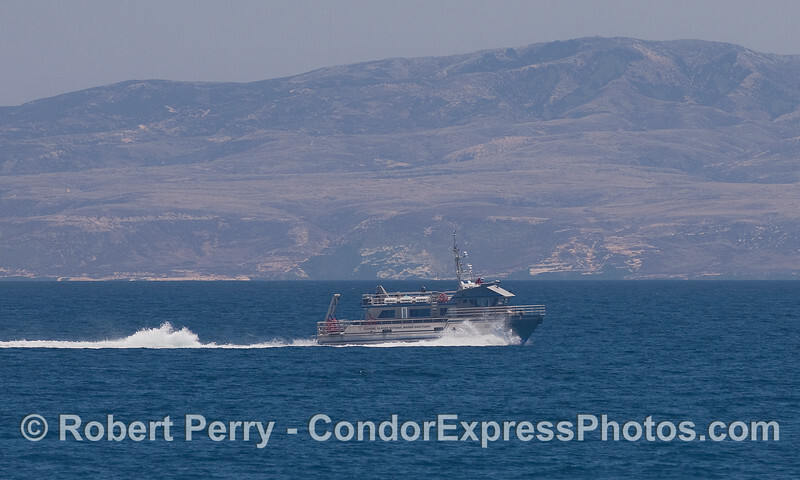 The Channel Islands National Marine Sanctuary research vessel "Shearwater" heads west along the northern face of Santa Rosa Island.